DAWSONVILLE, Ga. – Short-term rentals have become a booming industry, forecast to reach $23 billion in the U.S. by 2022. The rise in popularity has left governments struggling with how to regulate rentals, rental operators and neighborhood activists. 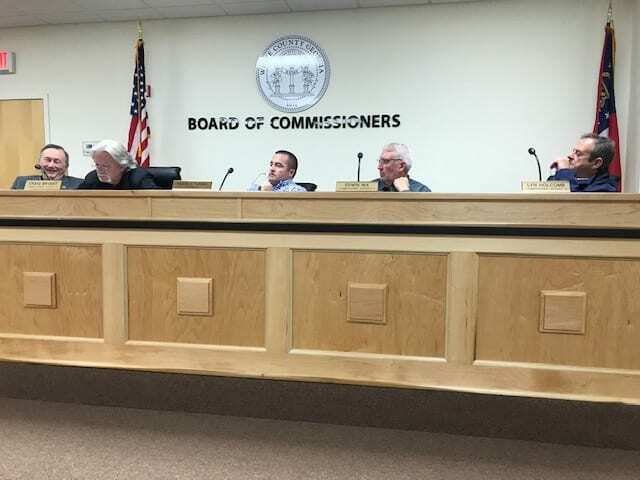 White County commissioners spent one hour in a special called meeting Tuesday morning, wrestling with what is a much more complex issue than it may seem on the surface. County staff is charged with drafting regulations for short-term rentals. Tuesday’s meeting was called so commissioners could provide some direction. On the one hand, those who would like to rent rooms in their home on a short-term basis argue they have a right to use their property as they see fit. On the other, their neighbors counter that kind of activity can affect security in the neighborhood as well as property values. There are also licensing issues, insurance issues, parking issues and zoning issues to be addressed. Commissioner Terry Goodger pointed out that Hall County and the City of Savannah are struggling with the same issues and they have left it under land use. Board voted unanimously to have staff draft a stand-alone ordinance and present it to the Board in two weeks for review. CLEVELAND, Ga. – Shocked by a tax digest that produced only slightly more revenue than it did a year ago and faced with a budget shortfall of $1.06 million, the White County Board of Commissioners elected to keep the millage rate at 9.998 mils, essentially kicking the can down the road for another year when another shortfall is likely. Keeping the millage rate the same will require three public hearings and commissioners voted to hold two hearings on August 3, one at 8 a.m., the other at 6 pm. The third hearing is set for Aug. 14 at 4:30 p.m. 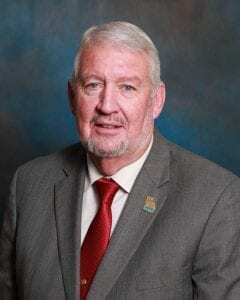 The vote to leave the millage rate unchanged was 3-2 with Commissioners Lyn Holcomb, Edwin Nix and Craig Bryant in support and Chairman Travis Turner and Commissioner Terry Goodger opposed. Goodger proposed a one mil increase but that died for the lack of a second. He then proposed a half-mil increase that was seconded by Turner, but failed to attract the three votes necessary for passage. Melton assured him the figure was correct. To erase the shortfall, commissioners will pull about $1.065 out of the county’s fund balance, leaving only enough to operate the county for 2.3 months in case of an emergency. 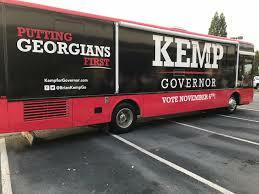 The Association County Commissioners of Georgia recommends that counties keep enough money in the fund balance to operate the county for three months. “I’m not comfortable with a 2.3 month balance myself,” Goodger said. “That could affect our bond rating in the long term. We are certainly much stronger with a three-month reserve.” If the bond rating is downgraded, it will mean paying a higher interest rate to finance capital projects. CLEVELAND, Ga. — White County Commissioners held the first public hearing 2017 millage rate Monday morning and may have been surprised by what they heard from the lone public speaker. To balance the FY 2017 budget, commissioners have proposed a millage increase of .83 mils TO 9.998 mils and a $590,000 reduction in the county’s reserves. That reduction will leave the county with a fund balance of only about 2.8 months to deal with emergencies. The Association County Commissioners of Georgia (ACCG) recommends that counties keep a minimum of three months in reserves. Cleveland resident Jimmy O’Neill said three months of reserves is not enough and that the average Georgia county keeps 5-6 months in reserves. 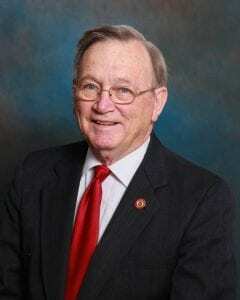 Therefore, he would like commissioners to consider a larger tax increase. Speaking with reporters after the meeting, O’Neill said, it’s better to raise the millage rate and pay employees competitive wages than to train them and have them go to neighboring counties to work then have to train their replacements. “Training employees, particularly those in the Sheriff’s Office, is very expensive,” he said. 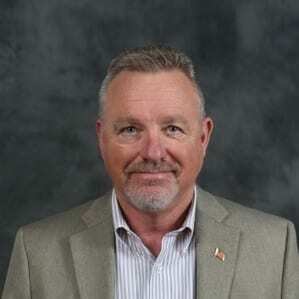 Commissioner Terry Goodger proposed a slightly higher millage rate than 9.998 at the last meeting and was supported by Chairman Travis Turner, but the motion was defeated 2-3. County Manager Michael Melton gave the millage rate presentation and pointed out the millage rate stayed at 9.19 mills from 2008 to 2014 and was lowered to 9.168 two years ago. The increased millage rate means the owner of a $300,000 home would pay about $99.60 in increased taxes. The next public hearing on the millage increase will be Thursday at 8 a.m. with the final hearing set for Aug. 8 at 6 p.m. The Board also authorized the Fire Department to purchase a used tanker for $42,000.